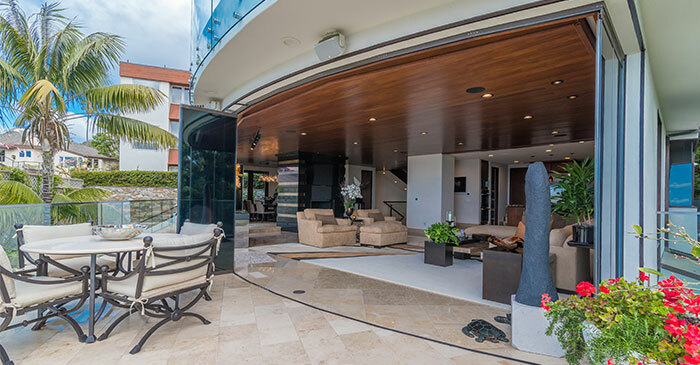 We recently worked on a project in Laguna Beach where the homeowners wanted to include Cover Glass sliding doors in multiple parts of their property. The results, as we’re sure you’ll agree, are stunning. We wanted to share our work to show you just what Cover Glass can achieve and to give you inspiration for your own home. 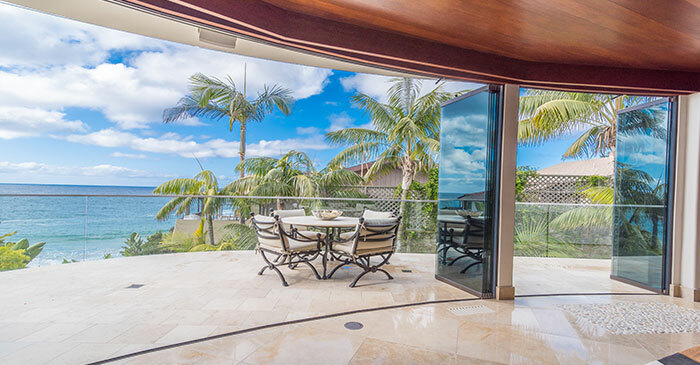 The folding glass doors can be open, closed, partially open, or in air gaps. 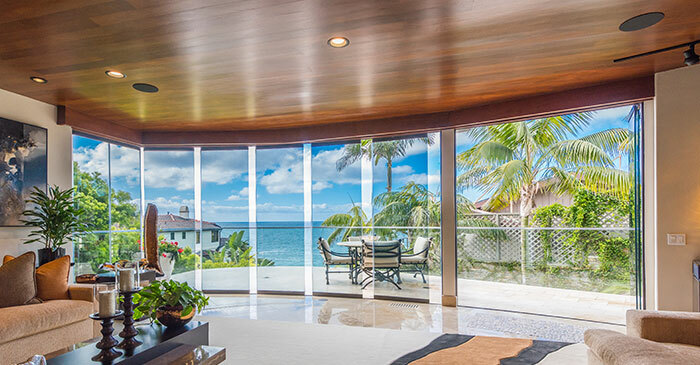 The clear glass means that none of these options takes anything away from the views. A lack of anything to step over allows the living room to merge with the terrace. The capability to use glass in a curved opening is unique to top-hung systems. Here, you can see how it contributes to making full use of the space. 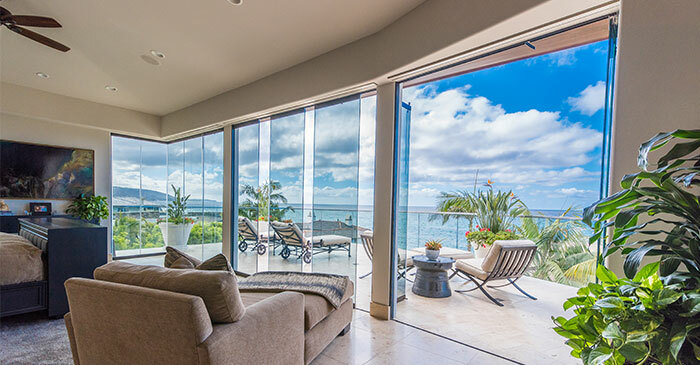 The homeowners use their sliding glass doors in different ways to open or close the space, depending on what is more fitting in the moment. This image shows why Cover Glass is so suited to the home. Large, open spaces benefit from fresh air, whereas plenty of glass allows the property to reduce its reliance on artificial light sources. Another picture demonstrates how Cover Glass matches the style of the home. 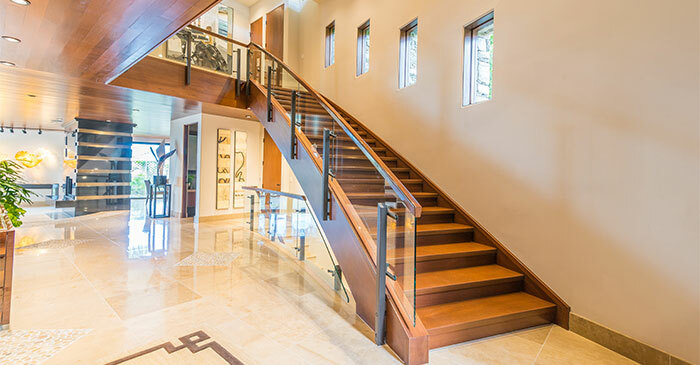 You can see that the homeowners use glass in other areas, such as along the side of the stairs. This photo helps you appreciate how big a difference frameless glass can make. Before, the room felt closed and disconnected from the outdoors — even when the sliding doors were open, they took up a significant amount of space. 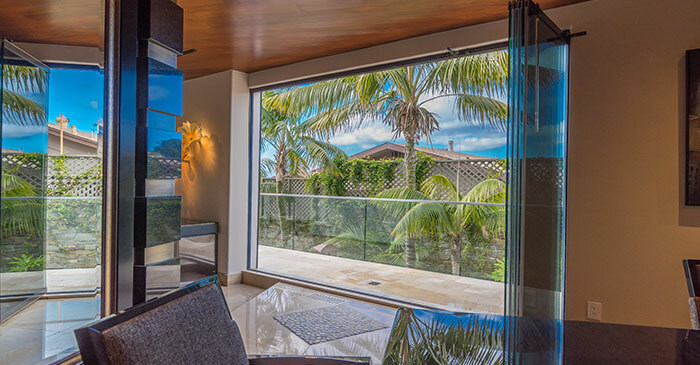 The Laguna Beach project demonstrates just a few ways homes can use Cover Glass. The possibilities are endless! 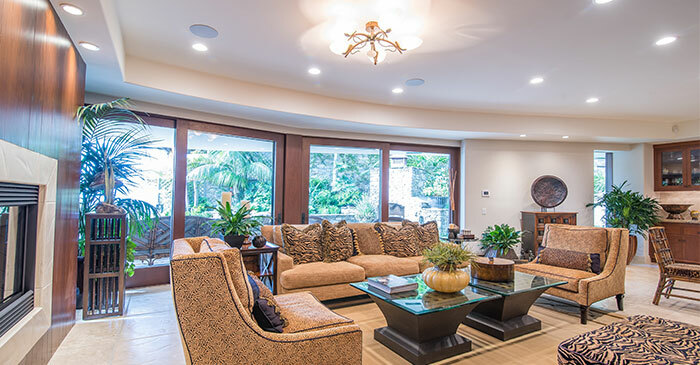 Ready to transform your home like this beautiful Laguna Beach property?